What a great quilt, Terry! Love it all!! Really cute. I hope it gets a lot of money. Looks great. So, if i'm understanding correctly, the red stitching is chenille strips you just tacked on with your longarm? I love this quilt and am in the process of making it. Found that one yard of red seems to do it. 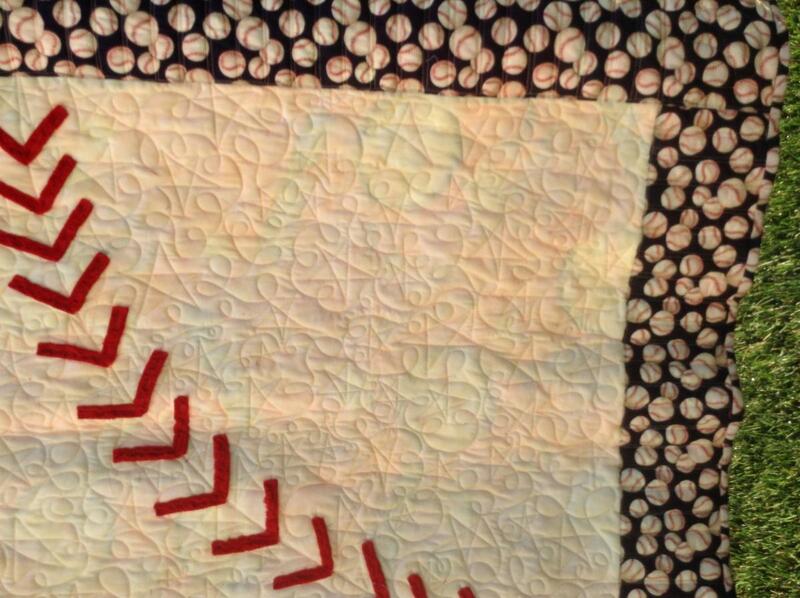 My red triangles are sewn, as you suggested (still to be cut into the strips that will become chenille). 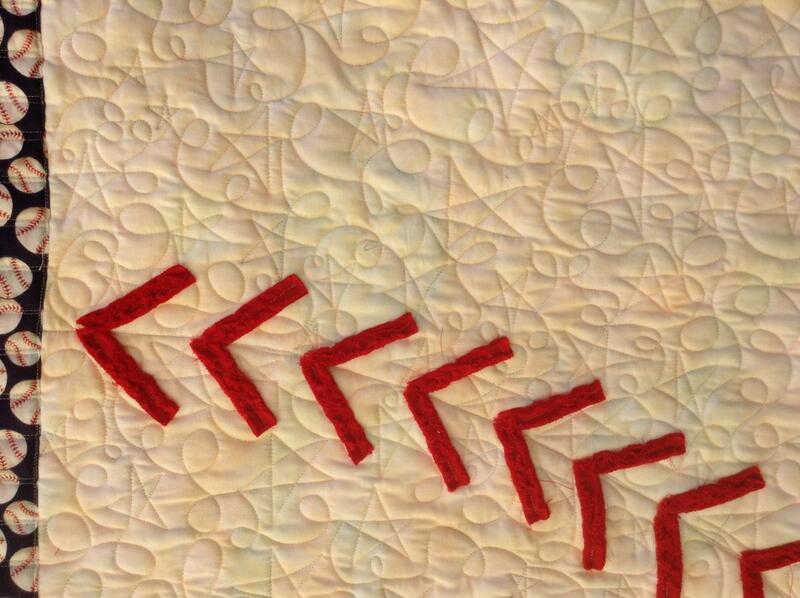 It looks like you might have quilted the white before adding the red “laces.” Is that correct? How long did you cut your laces? 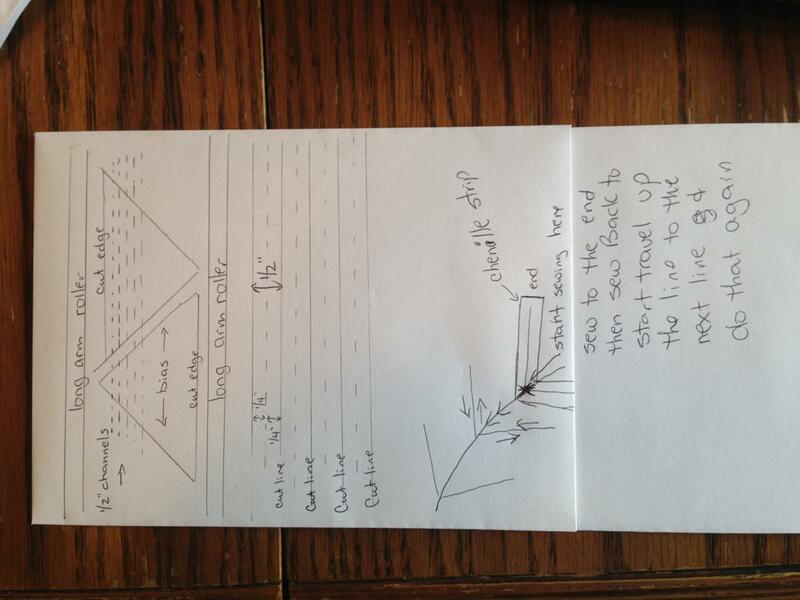 Maybe 6”, and then shaped them into a V when sewing them down? Or two 3” strips? Thanks so much! My grandson will love it! 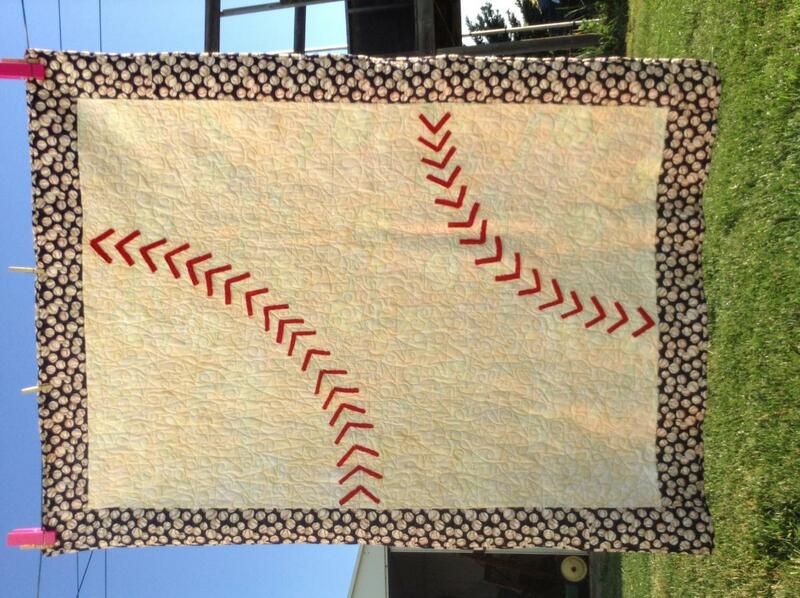 I’m using fleece for backing, with his favorite team (Red Sox). How did I miss this one. Love it.